Since the Champions League draw, the Portuguese press has acknowledged that Liverpool are a better team than Porto. They’ve never denied it. There’s been a very positive build-up, covering Jurgen Klopp’s great team and even talking about the city… and of course The Beatles. After Tuesday night’s match, their opinion continues. They say Reds are a superior side who got a fair result. But there’s the feeling that Porto could’ve done better with a little help from the referee. 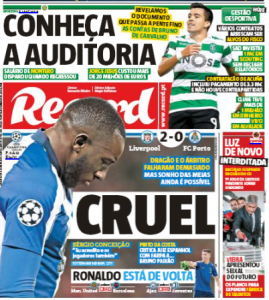 Newspaper Record brings a few texts about the game today, and two of them complain about some decisions against the Portuguese side. Columnist Alexandre Carvalho goes heavy on the referee, claiming that he wouldn’t have taken the same decisions if they were in favour of Porto. 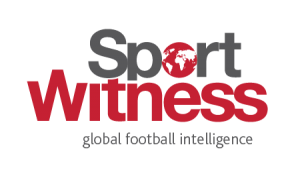 Regarding Salah’s red card no-show, after the English press agreed that the Liverpool star should have been sent off, Portuguese websites are all covering the comments to further point out how unfair it all is.